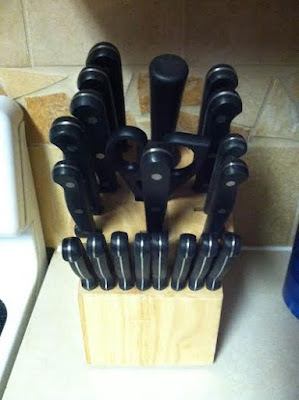 With a kitchen full of appliances it's hard to show your personality. In my kitchen I have limited wall space for hanging artwork so I took an out-of-the-box approach for decorating. I dressed up our knife block by adding a monogram from an Etsy shop, like Whats In A Name Shop, with our first and last initial. 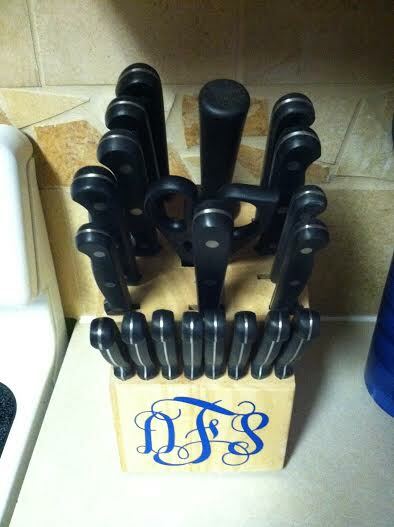 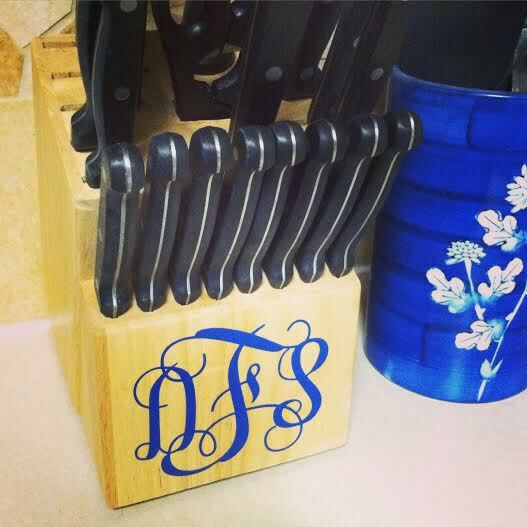 Monograms come in all shapes and sizes so make sure you measure your knife block to find the right size for you.